For Retrobok Collector Feature #9, we have a big guy from a small island, with an insane collection and a passion that is simply off the scale. Hit the jump to witness possibly the most impressive collection and display you’ve ever seen…. Hi Kevin, please tell us about yourself; where you’re from, what you do. 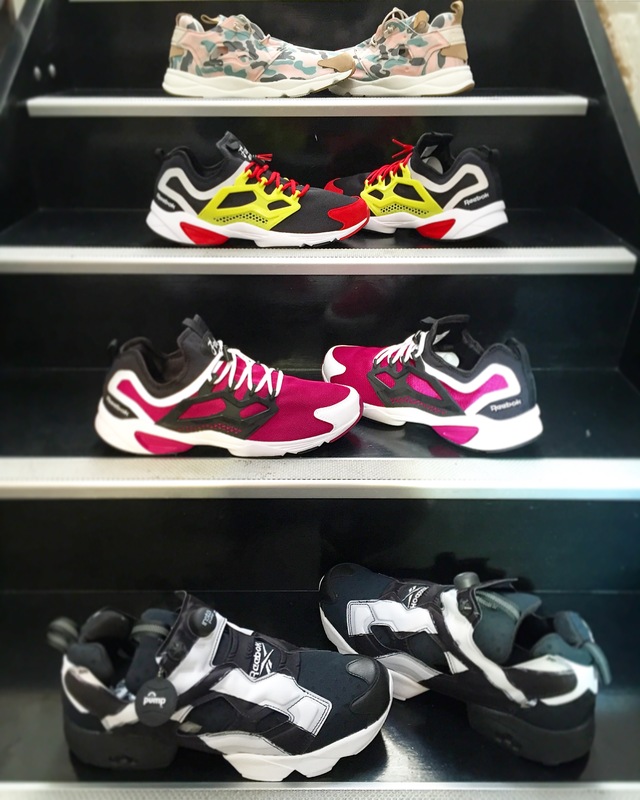 So – a first at Retrobok – we have a collector who also works at Reebok! Can you tell us more about your position? How long you’ve been there, etc…? Haha, yep! 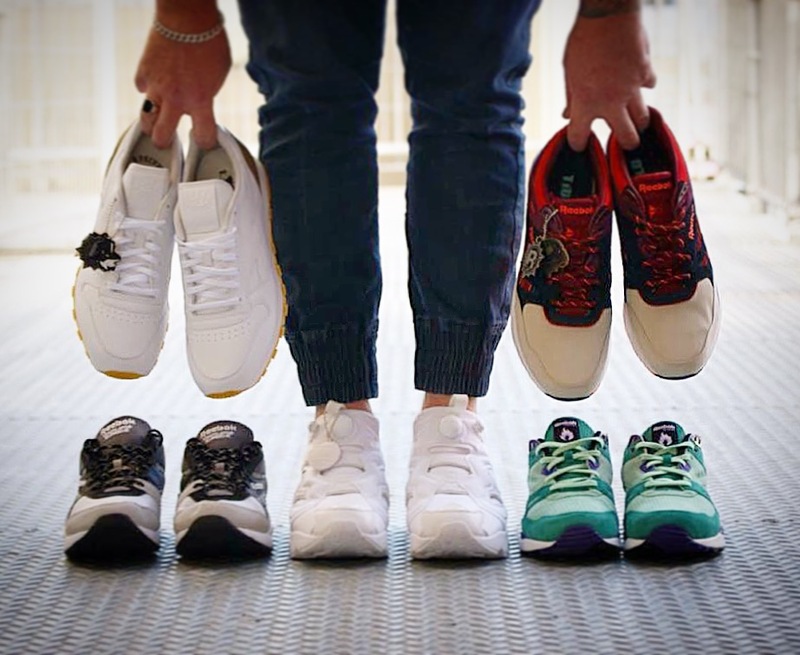 It’s certainly helped my collection along nicely 🙂 I’m the NZ Account Manager for Reebok. I head up the wholesale side of the business here in regards to sales to all of our retailers around the country. 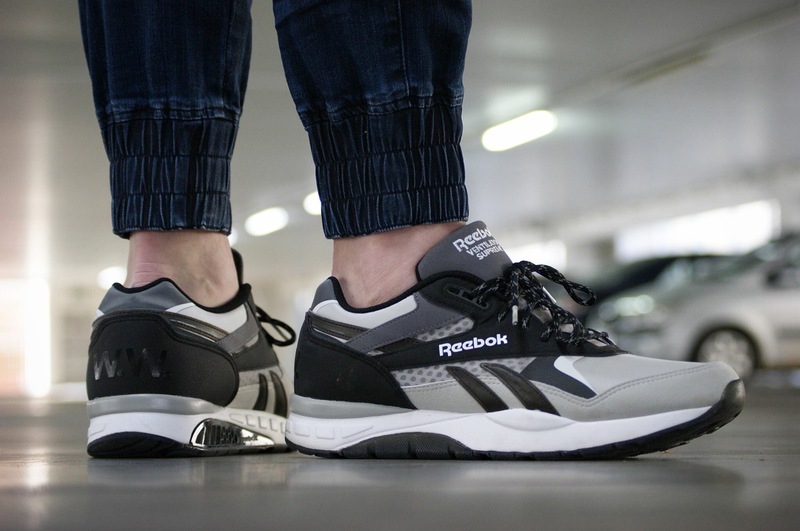 I cover everything Reebok from Classics through to Sport footwear & apparel. My HO (Head Office) is based in Sydney so I travel a fair bit back n’ forth between here & there but I also travel a lot around this beautiful country I call home. I’m extremely fortunate to not only be working for a shoe brand that I have been I love with since my days at school but I also get paid to do it! Haha! Tell us a little about New Zealand – and how Reebok is setup over there. We’re only a small population over here however we are very streetwear oriented in our fashion & we have a great culture surrounding that. Reebok itself is run from Australia in this part of the world but the 2 markets are very different. For example we have a lot of independent retailers here & in Australia it tends to be mainly large retail chains. With that in mind we have the luxury of actually being able to offer our retailers & ultimately the end consumer a wider variety of product than what is on offer in AU. And what about independent stories/boutiques, are you reasonably well covered – or actually – are you covered sufficiently working at Reebok haha!? Well, you’d think so right? !… To be honest I am very well covered working at Reebok. I still buy my kicks, I don’t get anything for free. When it comes to limited releases though, I have to line up, camp, raffle, shop online like everyone else. There is no favouritism here in that regard. Selfishly I wish there was but realistically if that was the case then nothing would ever hit the shelves for the sneakerheads to buy. 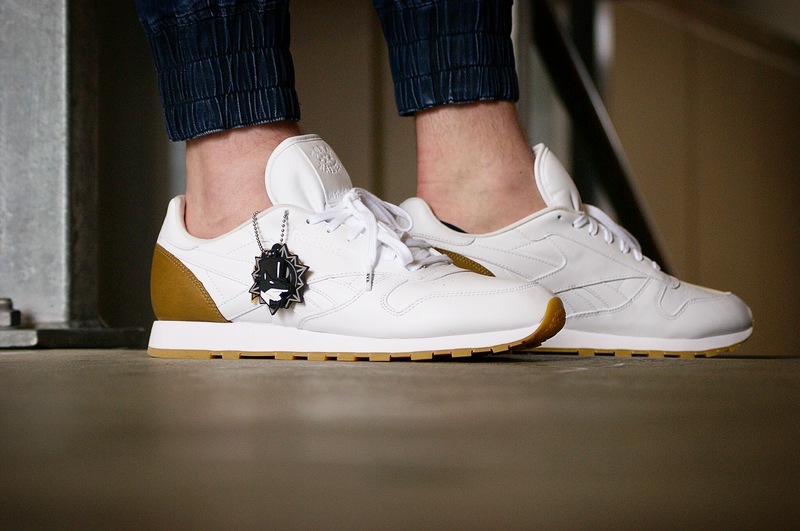 In that regard I respect Reebok a lot as it gives everyone a fair chance to own some serious heat. For example, from the last 3 Kendrick Lamar releases… I’ve only managed to cop 1 pair from the 2nd release. I have friends who have them all but they’ve camped for a couple of days to get them, I don’t have that luxury of time to be able to do that. 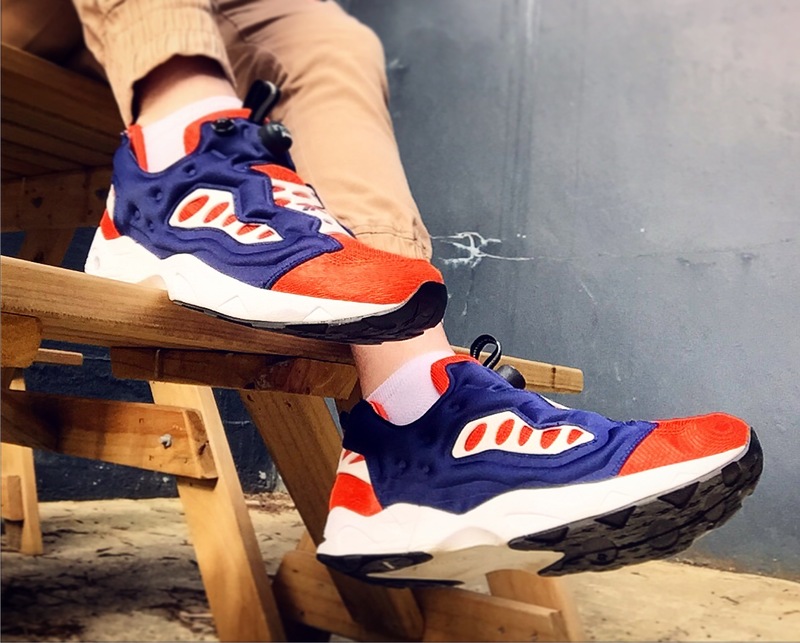 What about Sneaker culture and tastes over in NZ? Anything unique or interesting from a global perspective? The culture here is strong. You only need to look at the amount of sneaker stores we have popping up everywhere to highlight that. Again we’re a small population but we have an abundance of retailers which is great… it gives us so much choice! I have to say, like everywhere, Jordan Brand & Nike is strong here but I’m seeing signs of the older heads moving away from these to get something a bit different. This is where brands such as Reebok, Asics & New Balance are starting to make a strong presence. I have to say though, adidas is killing it here… just like everywhere outside of the States. Their innovation, technology & design is to be commended. Yeezy’s & NMD’s are big bucks here & the kids can’t get enough of them! 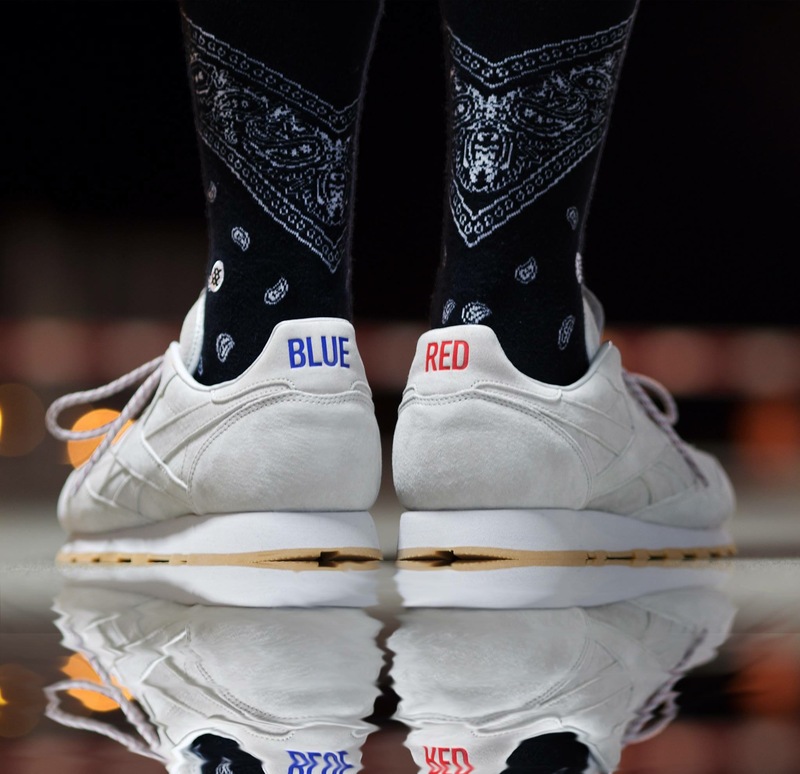 In terms of what’s hot within Reebok… anything to do with K Dot. Kendrick is on fire & his kicks are so dope! Looking forward to seeing what Future has to offer us going forward now that he’s been signed as well. It’s interesting that Reebok was the 1st shoe brand in the world to sign a music artist with Jay Z & now they’re showing signs of heading back into hip-hop. I’m excited about the possibilities & can’t wait to see what comes out over the next couple of years. Year of the Court is big too. We’re so strong in court shoes at the moment, Club C’s, NPC’s etc so much on offer! Incredible job with the Photos, really awesome and unique touch by displaying them on official Reebok display stands! How did you organise this? Thanks! I can’t take all the credit for the pics though. My bro, Stace, helped me there. 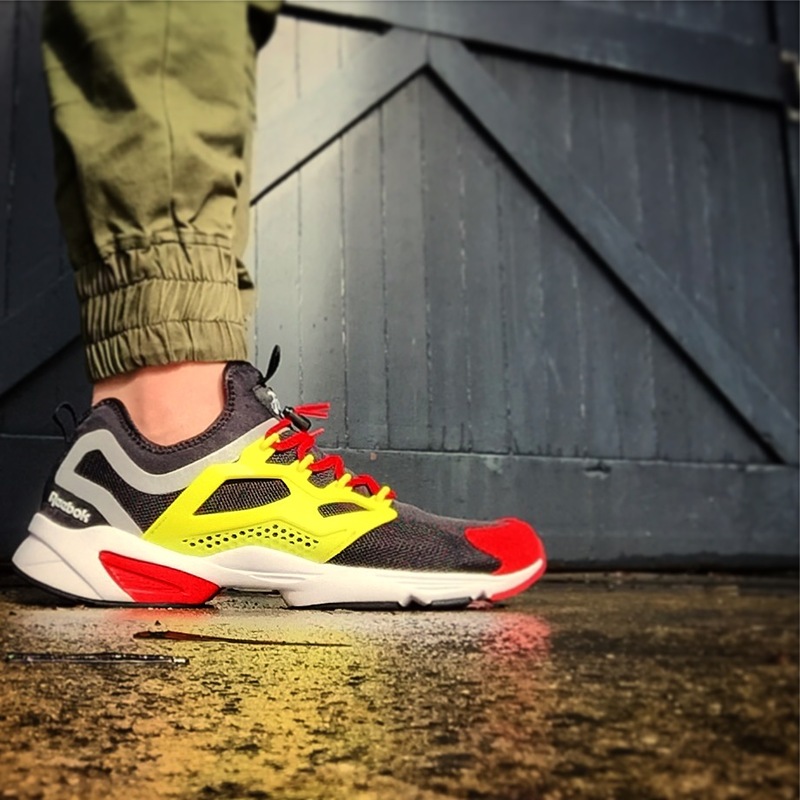 I also have 2 good mates in Christchurch (South Island of NZ) who have taken some epic on foot pics of my kicks for me… Big SHOUT OUT to my bro’s Nick & Doug. You can see some of their handy work on my Instagram page. Perk of the job getting to put some of my collection on the display stands. Those pics are actually taken in the Reebok showroom at my work. I was in-between changing seasons over so I took advantage while I had empty walls for a couple of days & we took these shots. Any dilemmas in how to arrange your shoes – I noticed you placed the left shoes at the bottom heheh! HAHA! Well, it made the pics look better having the walls full 🙂 No dilemmas as such but I did try to group things together, collabs on the 1st panel then styles of shoes grouped from there. This was a luxury at to be able to display my kicks side on for a bit. And I hate to ask, but what’s your day-to-day storage of your collection like? Is your partner understanding? My stands at home are very well organised but they’re cramped as I have so many kicks now. I need more space so I can spread them out! I prefer to have my kicks out of their boxes rather than stored away. I try to wear all my kicks so it makes it easy to decide what to rock plus when people visit they usually head to my shoe wall & buzz out on how much I have. Having them out so I can look at them & enjoy them is key. For me it’s like having a nice collection of antiques or art I guess… I want to see them, not hide them away. I plan by the end of the year to build some more stands so I can get the rest of the collection out of storage boxes. Your Instagram photos are damn sweet too, very cute to see your boys on there rocking plenty of Reebok garb. Thanks! Again I’ve had help from my mates Stacey, Nick & Doug but I’ve also been practising and a lot of the recent pics I’ve taken myself. It’s a fun hobby but you do get some weird looks out in public taking pics of your shoes!!! My boys love Reebok! I’m starting them young haha!! The Disney colab gear goes down well with the kids! And, you’re a big guy calling himself Big Kev – I have to ask do you have an insane shoe size? That is true mate… 6’3” & 120kg… I think I can get away with being called Big Kev or BK for short hahaha. Not too insane mate, I’m a US13. Sometimes I’m really lucky picking up a bargain as often the really big & really small sizes are left till last. When it comes to limited releases though it’s hard, as often they only bring in 1 pair of 13’s in a drop to a retailer & there could be a few of us fighting over it! They’re one of my prized possessions!! They’re a US20 and a special release for collectors in this size by HAL (Highs and Lows) for the 25th Anniversary of the OG Pump. They were produced with the wrong colour on the upper so most were destroyed before they hit the market, I have seen a few sneaker shops selling them around the globe but none in this size. They’re a big boot but I have a bigger one in my showroom… one of Shaq’s US22’s!! Now that’s a BIG shoe!!! 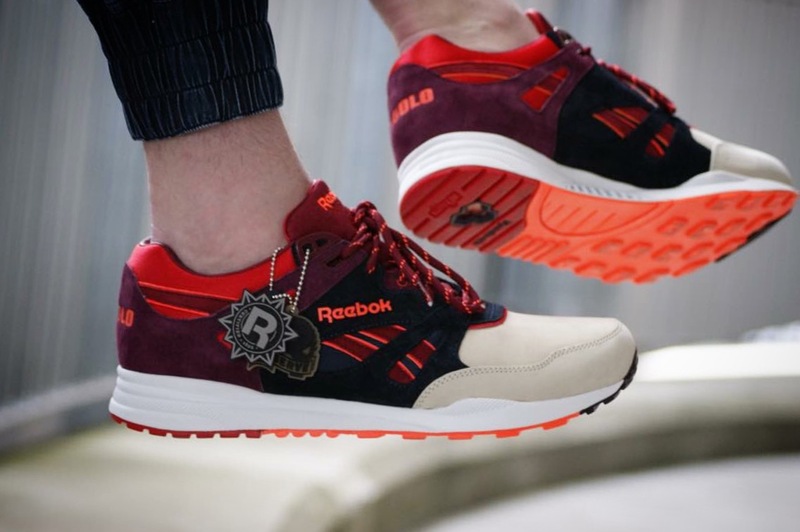 Did you get into Reebok as a brand before your job with them, or did you become inspired while working there? I have to say since working with them & seeing what they’re doing and about to do, Reebok will always hold a spot in my heart. Your collection looks impeccable, it looks like you’ve been smashing your collection together quite recently – impressive! So let’s talk more about your shoes – you have quite a range, from the biggest Bballers to the ultralites like the Furylite – do you have any particularly favourite shoes? Thank you! I have been going hard in the last couple of years for sure… circumstances have allowed for that. Previously I’d have a few nice pair & wear them till they died. Now I don’t need to worry about that… with the 200 pairs approx. I own I don’t think I’ll ever come close to wearing a pair of shoes out again! I love them all but my most favourite shoes are my OG 25th Anniversary Pumps. I only ever wear them in winter as they’re too hot to wear any other time but they are next level in terms of comfort & appearance. 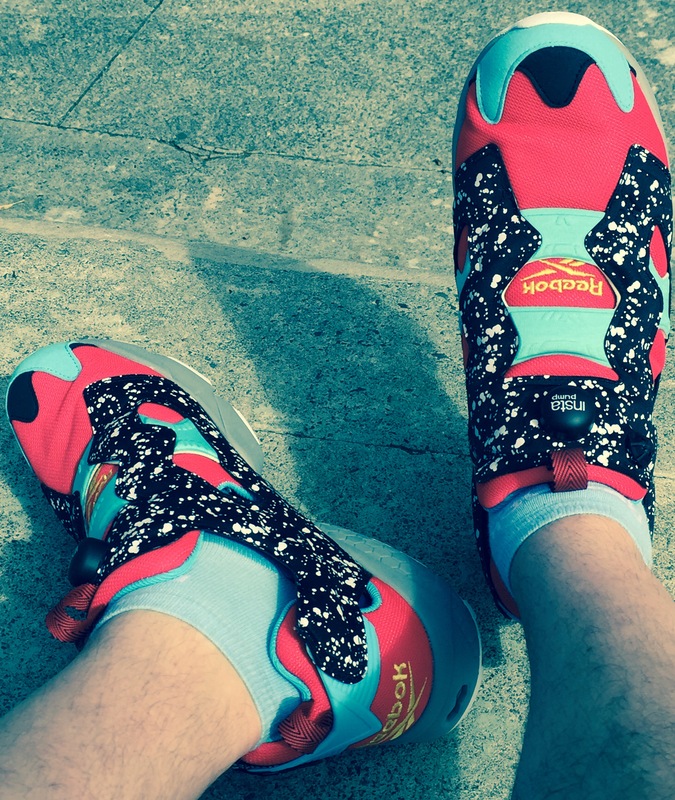 As far as daily wearers go I’d have to say the Instapump Fury, Fury Road & Furylites. Instapumps are aggressive looking & it’s really only the older sneakerheads that understand & appreciate them. The Furylites were a huge surprise to me… you simply cannot go past the price for comfort & style on these. I own so many of them now & they probably are the most wearable shoe I own. I have just purchased 2 pair of the new Fury Adapt’s & I have to say they are stunning, not just to look at but to wear. Questions are another shoe I love & I wear more than my OG Pumps, simply because they’re not as hot on foot as the Pumps. My black & white ‘All Stars’ are crisp & stylish & they usually find their way into my luggage whenever I travel. I love picking up colabs too. These usually have a story surrounding them whether it’s an anniversary of the shoe or of the colab partner. I like having something different to the rest, I don’t want a shoe that everyone else has, I want to stand out from the crowd. 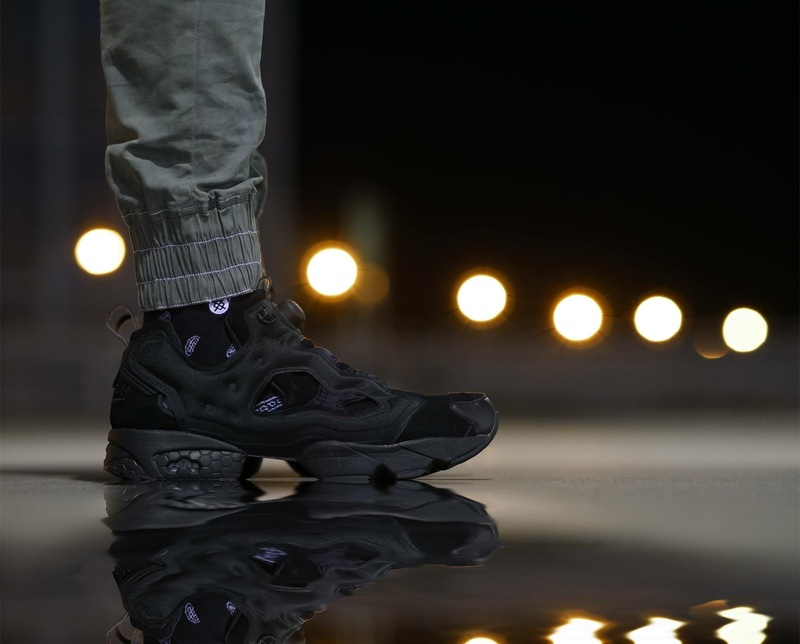 Those Pump Fury ‘splatter packs’ are insane! So I’m presuming you’re pretty comfortable with rocking the brightest colourways any time? Haha, well as above, yes! I love having kicks that make people look. I’ll wear the bright colours, freaky patterns etc on my feet. I don’t want to have a plain black shoe in a sea of black shoes & look like everyone else. This is my way of putting my stamp on how I dress, look, feel etc. Let’s talk about the collabs in your collection – any favourites there? Ohhhh colabs… I like my colabs 😉 They’re all favourites, that’s why I bought them hahaha! You’re asking me to pick between my children, that’s not fair! Quickly I’d have to say my OG 25th Anniversary Pumps by HAL & Foot Patrol, SNS 15 Stars Pack, Kendrick CL Leathers & my Empty Canvas x Instapumps…you can never go wrong with a shoe that glows in the dark haha! With the Garbstores – I have a few myself – I’ve felt they can be a little bit hit and miss BUT I think they really elevate the Classics brand towards a more fashion-oriented market. Garbstore do something very interesting with our shoes. The 1st pair I bought was the GL 6000’s & to see a shoe that has the upper made inside out was very cool. I’ve never worn them from fear of getting them dirty but I love them for being so unique. I own quite a few pair of Garbstore colabs now, they offer a point of difference to any other shoe out there, that’s why I like them so much. And what about non-collab favourites? I think Reeboks design team don’t get enough credit sometimes for some of their general releases – the splatter pack is a good example maybe? I totally agree on that. Reebok did so many world firsts in their history & many of them are overlooked by the young ‘up & comers’ to the sneaker game. Instapumps are a classic example that have been around for over 20 years & they still look like a shoe that should be designed in the future. Any Fury, be it Instapump, Road, Adapt or Lite gets my vote as a top shoe! 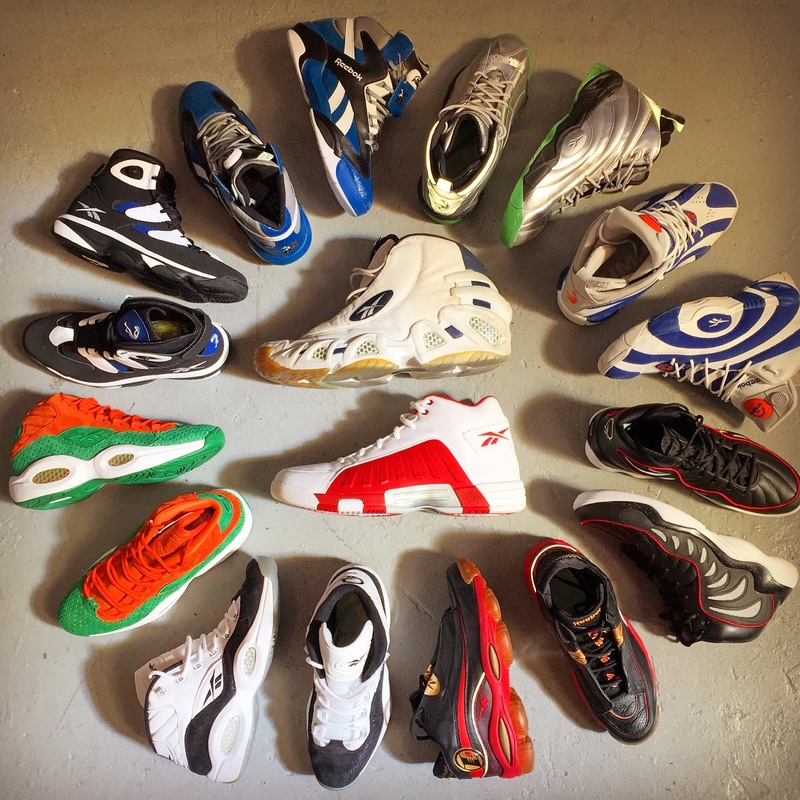 And your Bball shoes – my knowledge is rather limited, which of yours do you really like? Pumps, all day every day! Love my pumps!! OG Pumps, Blacktops, Omni Lites… all brilliant. Followed closely by Questions… this year has been great with the 20th Anniversary of AI so seeing the collabs dropping globally has had me salivating. 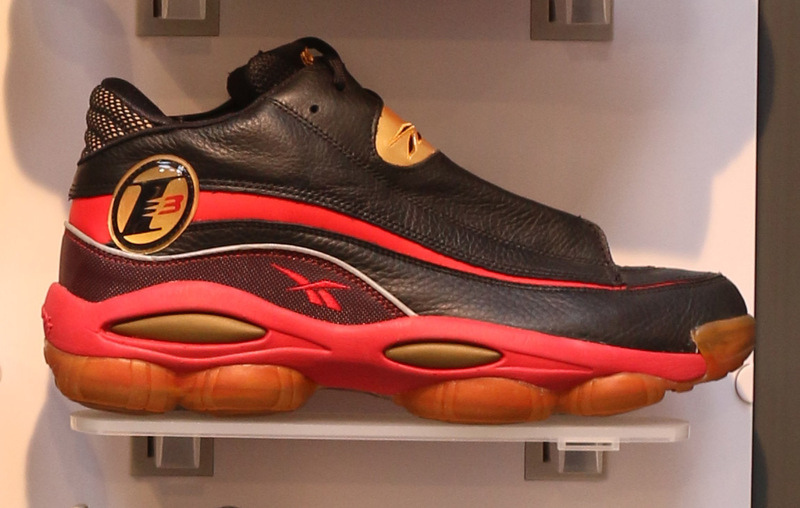 I’m going to be brutally honest here and say I’ve never been a fan of the appearance of the DMX’s in general – but I believe the tech is insane, tell me something about those please. 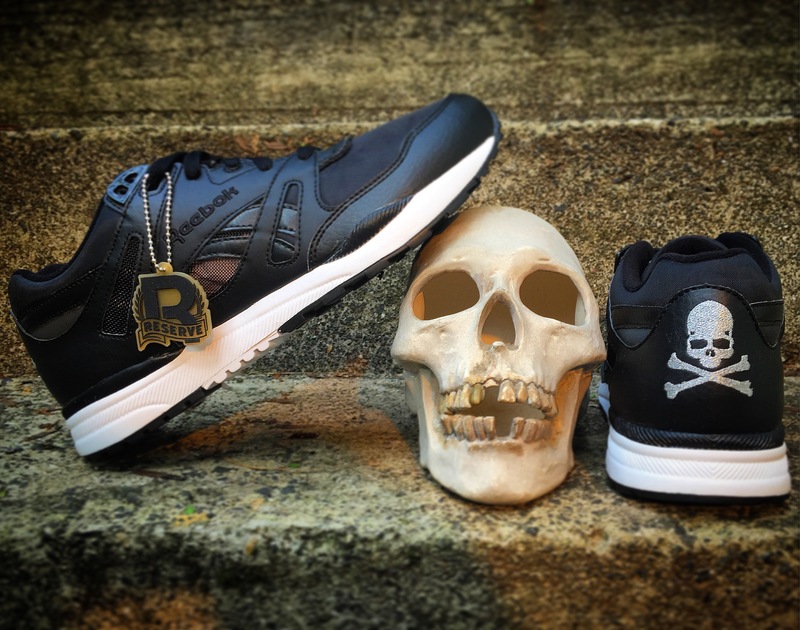 Its probably a shoe that you either love or hate… it’s different & there’s a lot going on. I love it for the fact it is so different but you’re right on the tech… that DMX system is unbelievable underfoot. Basically it has 10 air chambers that are all connected so as you step the air gets pushed around & it really cushions you. Think of it like being on a waterbed in terms of how the water (or air in this case) moves around when you sit on one end & as you move across the bed the water moves as you do. 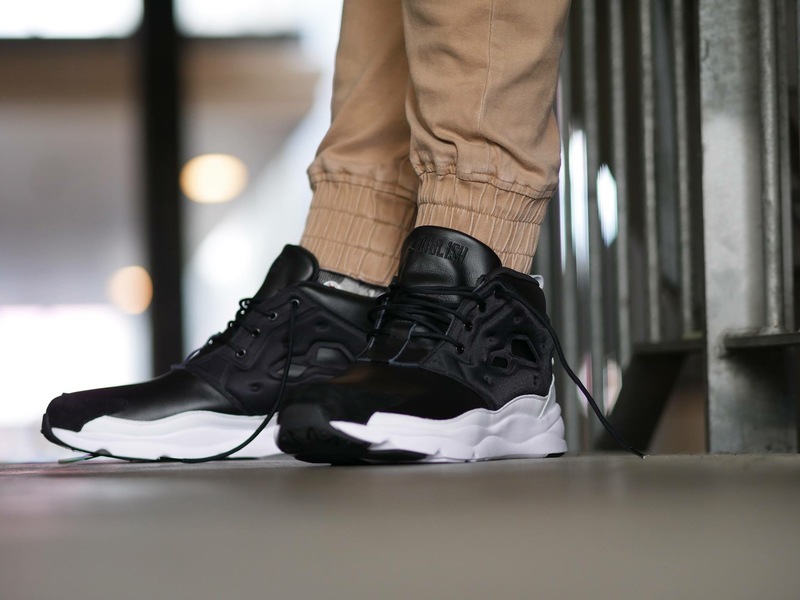 You have to try it if you haven’t already… it would easily be one of the most comfortable cushioning systems on the market & one that Reebok is famous for. Tell us about other brands or specific shoes that you have/love. I own a few other brands but not to the extent of my Reebok collection. I own some Adi’s, Stan Smiths etc… wanting to pick up some NMD’s & EQT’s one day soon. I have New Balance, Saucony & I just picked up my 1st pair of Asics the other day; “Bad Santa’s”. Have to say I’m really impressed with them. I’m a bit of an anomaly in the sneaker game… I don’t own a single pair of Nike or Jordans. Not that I’m against them, in fact I’m hunting for something in the Jordan Brand right now but I won’t just buy anything. It needs to be special but I’m not spending thousands on a pair of shoes especially if I plan to wear them. I have my feelers out there so it’ll just be a matter of time. 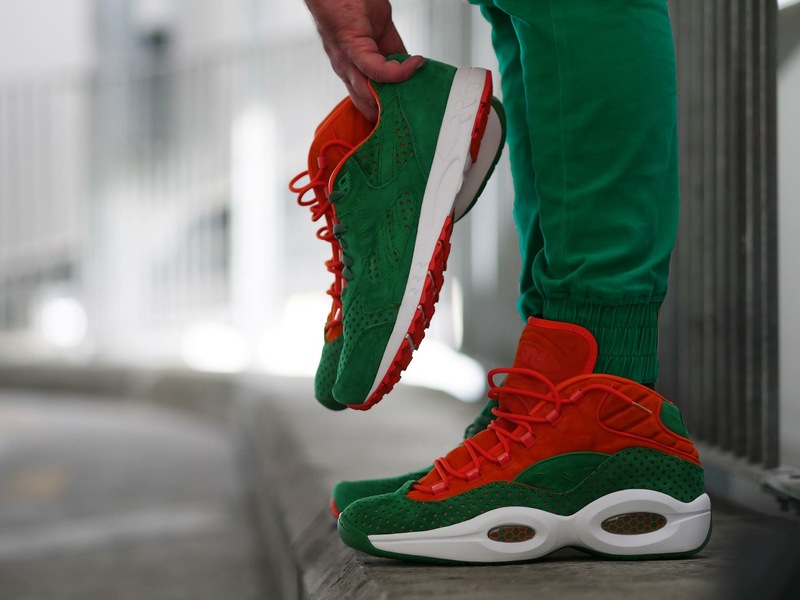 Here’s a leftfield question for you: I’m hoping Reebok step up to the whole Flyknit/Primeknit thing with their own take on this tech – what are your thoughts on that, and do you feel that type of tech would fit within Reebok Classics as a brand? Any other thoughts or anything you’d like to mention, Kev? Yes… I wanted to mention once again how great the sneaker culture is here in NZ. Its small by global standards but its strong. We have a lot of serious sneakerheads here & they are all willing to share, help & impart their knowledge to others. I belong to 2 closed FB groups; Sole Central NZ & Big Foot NZ (size 12+)… in both of these groups we have a community where we can share our thoughts, likes, dislikes, pictures etc & not be judged by it. We’re all in it for the love & passion of everything to do with sneakers & it doesn’t matter what race, religion or brand you’re aligned too… we love kicks!! Just one big happy family of a few thousand sneaker enthusiasts. Posted on August 4, 2016, in Features, Interviews, Newsfeed and tagged collectors feature, Reebok Classics, reebok new zealand, Retrobok, retrobok collectors feature. Bookmark the permalink. Comments Off on Collector Feature #9 — Kevin Hoyle (New Zealand).